Land Yourself A Lot Of Points In Today’s Quiz! Yes, there is the opportunity to land yourself with a lot of points in today’s quiz, but some of the questions are quite difficult too so don’t be over confidant. However, don’t worry, if you get stuck you can always find the answers waaaaaaaaaaaaaaaaaaaaaaaaaaaay down below, but please NO cheating! Q. 1: How many legs has a tarantula? Q. 2: ‘Zn’ is the symbol of which chemical element? Q. 3: What name is given to a baby elephant? Q. 5: What is the fahrenheit equivalent of 20 degrees centigrade? Q. 6: What city is known as ‘The City of Lilies’ ? Q. 7: Who was famous for his theory of gravity and 3 laws of motion? Q. 8: What is the most common transplant operation? Q. 9: What is the major element of the diet of the Koala bear? Q. 10: And in a related question, what is the major element of the diet of the wild giant panda? Q. 11: Which gas is responsible for global warming? Q. 12: The Ross and Weddell Seas are to be found off the shore of which continent? Q. 13: Now for a mega-point question. Listed below (in alphabetical order) are ten countries ending in the word ‘land’. A point for each one you can name correctly. Q. 14: Who led the Seventh Cavalry to its doom at the Battle of Little Bighorn? Q. 15: John Flamsteed was the first holder of which far-sighted post, created in 1675? Q. 16: What term is given to the technique where paint is mixed and bound with egg yolk? Q. 17: What was launched by Pope Urban II at the Council of Clermont in 1095? Q. 18: Who went on a circumnavigation of the world from the Reform Club as the result of a bet? Q. 19: Which New Zealand-born physicist is credited with splitting the atom? Q. 20: Which motoring aid was invented by Percy Shaw? A. 3: A baby elephant is called a ‘Calf’. A. 4: It is called the ‘Stirrup’ and it is located in the ear. A. 5: 20 degrees centigrade is 68 degrees Fahrenheit. A. 7: Sir Isaac Newton. A. 8: The Bone graft. A. 10: A wild giant panda’s diet is almost exclusively (99 percent) bamboo. A. 14: Lt-Col George Armstrong Custer. A. 15: He was the first Astronomer Royal. A. 16: It is known as ‘Tempera’. A. 17: The First Crusade. A. 18: Phileas Fogg and his servant Passepartout (you get the point for naming Phileas Fogg correctly AND two posssible bonus points if you also knew the name of his servant. (From Jules Verne’s Around the World in Eighty Days). A. 19: Sir Ernest Rutherford. Well maybe not just so easy a quiz as all that. You’ll find out below, and why I called it that too. All the usual mixture of questions are here. And as usual if you get stuck you can find the answers waaaaaaaaaaaaaaaaaaaaaaaay down below, but please NO cheating! Q. 1: What city is known as ‘The Big Easy’ ? Q. 2: What color are the flowers of the ‘harebell’ ? Q. 3: What is the name of the process in which a solid turns directly into a gas, without passing through the liquid phase? Q. 4: What is the largest wild member of the dog family? Q. 5: Which element has the symbol ‘Au’ ? Q. 6: What is the electrical unit of resistance? Q. 7: Who invented the jet engine in 1930? Q. 8: How many sheets of paper are there in a ‘ream’ ? Q. 9: It is called the ‘Hunter’ and consists of 3 stars, what is the proper name of this constellation? Q. 10: What did the British government do on the roads in order to reduce accidents in 1925? Q. 11: What is a ‘Flemish giant’ ? Q. 13: If you were ‘purling’, what activity would you be doing? Q. 14: Which famous battle was fought on June 18 1815? Q. 15: In which country was the world’s first female Prime Minister elected in 1960? Q. 16: What is the name of Long John Silver’s parrot? Q. 17: This is the name of a famous bicycle manufacturing company, the capital city of a state in the US, and of a writer, poet, soldier, politician, courtier, spy, and explorer in Elizabethan England, what is it? Q. 18: Who created the famous sculptures ‘The Thinker’ and ‘The Kiss’ ? Q. 19: A lot of us now use it, but what does the acronym ‘VOIP’ stand for? Q. 20: Which group’s best-known recording is the 1967 single ‘A Whiter Shade of Pale’ ? A. 1: New Orleans is known as ‘The Big Easy’. Q. 2: What color are the flowers of the harebell? A. 2: The correct answer is c) blue. A. 3: The process is called ‘sublimation’. A. 9: It is ‘Orion’s belt’. A. 10: They painted white lines. A. 11: I’m tempted to give you a point if you said “A big Belgian’ but I won’t. You get the point if you said a Flemish giant was a Rabbit. A. 12: The four largest Balearic islands are Majorca, Minorca, Ibiza and Formentera. A. 13: You’d be knitting. A. 14: The Battle of Waterloo. A. 17: It is ‘Raleigh’. Raleigh is a famous bicycle manufacturing company, Raleigh is the capital city of North Carolina, and the famous Elizabethan was Sir Walter Raleigh. A. 19: Voice Over Internet Protocol. You will find out what the title means later in the quiz. 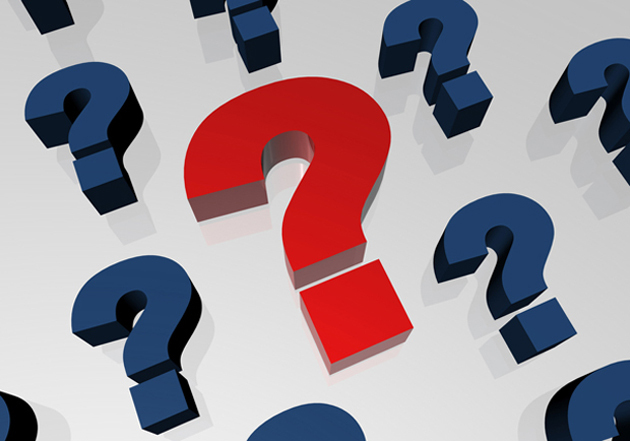 For now get your thinking caps on and have a go at the following twenty questions in this week’s fasab quiz. As always, if you get stuck, you can find the answers waaaaaaaaaaaaaaaaaaaaaaaaaaaay down below, but please NO cheating! Q. 1: The terms ‘curd’ and ‘whey’ are associated with making what? Q. 2: Which species of animal contains the most poisonous animal in the world? Q. 3: Which two metals are used to make pewter? Q. 5: What would you use ‘Archimedes’ Screw’ for? Q. 6: Amino acids are essential for the formation of what in the body? Q. 7: What can dogs do that wolves cannot? Q. 8: A ‘canton’, ‘halyard’ and ‘field’ make up what item? Q. 10: Which chemical has the symbol ‘CL’? Q. 11: Who wrote the famous book ‘Decline and Fall of the Roman Empire’? Q. 13: In what sport can you score a ‘waza-ari’, ‘ippon’ and ‘yuko’? Q. 14: The Knesset is the legislature of which country? Q. 15: What landlocked sea is 422m (1385ft) below sea level? Q. 17: Where is the Yas Marina Motor Racing Circuit? Q. 18: The name was mentioned in the news a lot towards the end of 2014, which war was fought by Britain, France, Turkey and Piedmont against Russia between 1853 and 1856? Q. 19: In what land are ‘Quadling Country’, ‘Winkie Country’ and ‘Gillkin Country’ to be found? Q. 20: Which singer was ‘sailing’ in 1975? A. 3: Tin and Lead. A. 4: Coconuts and dates. A. 9: Grapes, followed by bananas. A. 12: The Republic of Ireland has 26 counties and Northern Ireland 6. A. 15: The Dead Sea. A. 18: The Crimean War. A. 19: The Land of Oz, from The Wonderful Wizard Of Oz. 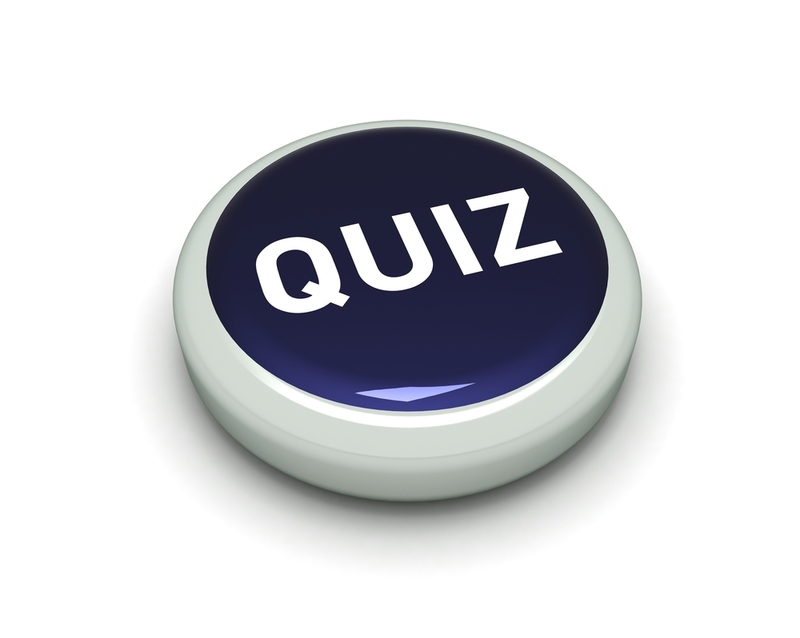 Yes folks, it is quiz time again here at the fasab blog. So get your thinking caps on and try these questions out. And as usual, if you get stuck, you can find the answers waaaaaaaaaaaaaaaaaaaaaaaaaaaaaaaay down below, but please NO cheating. Q. 1: Who was the manager of the Beatles? Q. 3: What do you get if you divide 50 by half and add 40. Q. 4: Frank Pantridge, born in Hillsborough, County Down, in Northern Ireland was famous for what? Q. 5: What type of insect is a ‘velvet ant’? Q. 6: What is the main ingredient of the dish ‘Welsh Rabbit’? Q. 7: Why are 1968 pennies worth more than 1964 pennies? Q. 8: What number is a hurricane on the Beaufort Scale? Q. 9: From which continent did the guinea pig originate? Q. 10: If 9 = 4, 21 = 9, 22 = 9, 24 = 10, 8 = 5, 7 = 5, 99 = 10, and 100 = 7, what do 16 and 17 equal? Q. 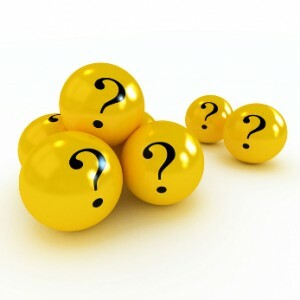 11: What is the name of the investment company managed by billionaire Warren Buffet? Q. 12: What does a ‘hippophobic’ fear? Q. 13: ‘Galvanized’ iron or steel is coated with which other metal to help prevent rusting? Q. 14: What is a ‘Natterjack’? Q. 15: ‘Hydrolysis’ is the reaction of a chemical compound with what other compound? Q. 16: What poisonous substance does the cassava root (used to make flour, breads, tapioca, a laundry starch, and an alcoholic beverage) contain? Q. 17: This word is the name of a drink and a machine for separating cotton from its seed, what is it? Q. 18: What is the nautical term for a length of 608 feet? Q. 19: Which precious metal has the symbol ‘Pt’? Q. 20: The size of a man’s foot is approximately the same size as which other body part? A. 2: One third land and two thirds water approximately. A. 4: in the correct answer is d) Professor James Francis “Frank” Pantridge, MD, CBE was a physician and cardiologist from Northern Ireland who transformed emergency medicine and paramedic services with the invention of the portable defibrillator. A. 6: Cheese (Welsh Rabbit – also called Welsh Rarebit – melted cheese on toast, which was an ironic reference to cheese being a poor man’s meat or rabbit). A. 7: Because 1968 pennies is $19.68 and 1964 is only $19.64. A. 11: It is called ‘Berkshire Hathaway’. A. 16: It contains Cyanide. A. 18: It is called a ‘cable’. A. 20: Oh for goodness sake have a bit of sense, it’s his forearm. 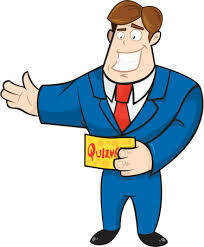 Welcome to another week and to another quiz. The usual random selection of subjects and difficulties. And if you get stuck you can find the answers waaaaaaaaaaaaaaaaaaaaaaaaaaaaaaaaaay down below, but please NO cheating! Q. 1: What does ‘VSOP’ stand for on a bottle of Brandy? Q. 2: What country has not fought in a war since 1815? Q. 3: What ethnic group was largely responsible for building most of the early railways in the U.S. West? Q. 4: What animal is the symbol of the World Wildlife Fund? Q. 5: Which is the only country in the world which has the Bible on its national flag? Q. 6: What is the total if you add the number of months with thirty-one days to the number of months that have twenty-eight days? Q. 7: What does the term ‘Prima Donna’ mean in Opera? Q. 8: What is a ‘Portuguese Man o’ War’? Q. 9: What color is orange blossom? Q. 10: People who are ‘color blind’ cab detect some colors but have difficulty distinguishing between two in particular, what are they? Q. 11: What is the three dimensional image created by laser beams called? Q. 12: Who was the first U.S. President to adopt the informal version of his first name? Q. 13: Organic chemistry is the study of materials that must contain which element? Q. 14: What famous and influential Theologian claimed he could drive away the devil with a fart? Q. 15: What is the liquid inside a coconut called? Q. 16: In which month is the ‘October Revolution’ celebrated in Russia? Q. 17: What are the next three prime numbers after 37? Q. 18: This one is the name of a flower and the colored part of the eye, what is it? Q. 19: What bird features in the poem, ‘The Rime of the Ancient Mariner’ by the English poet Samuel Taylor Coleridge? Q. 20: Named after the characters in the Tin Tin cartoon series, how many people were in the band The Thompson Twins? A. 1: Very Superior Old Pale. A. 6: The answer is 19. Seven months have 31 days (January, March, May, July, August, October and December) and of course all twelve months have 28 days! A. 7: Leading Female Opera Singer. A. 8: It is a sea-dwelling jellyfish-like invertebrate. Strangely though, the Portuguese never had a warship called a Man o’ War, and the Portuguese name for the jellyfish-like creature is Caravela Portuguesa, referring to an earlier Portuguese sailing ship design used for exploration in the 15-16th Centuries. A. 10: They are the primary colors Red & Green. A. 17: They are all in the forties 41, 43 and 47. A. 20: Three. Here they are….